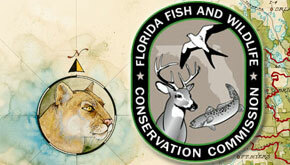 The Florida Fish and Wildlife Conservation Commission (FWC) is offering free hunter safety courses in Molino, Cantonment, Jay and Milton. Students who have taken the online course and wish to complete the classroom portion must bring the online-completion report with them.All firearms, ammunition and materials are provided free of charge. Students should bring a pen or pencil and paper. An adult must accompany children younger than 16 at all times. Those interested in attending a course can register online and obtain information about future hunter safety classes at MyFWC.com/HunterSafety or by calling the FWC’s regional office in Panama City at (850) 265-3676. Do you have to register or just show up with your child? Replying to Well……The night class is book work/videos the day is going to the gun range. Have to do both to get certificate. I wonder why the night classes are an hour longer ?